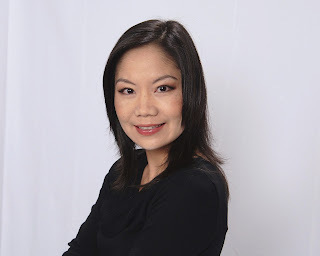 Today, I have the pleasure to interview Weina Dai Randel. She is the author of The Moon in the Palace and The Empress of Bright Moon. Both of these books are about the early life of Wu Zetian, China's only female Emperor. I have reviewed these books, and I enjoyed them immensely. I hope this interview will give you some insight into her writing, and also her subject, the fascinating Wu Zetian. Thank you, Mrs. Randel. 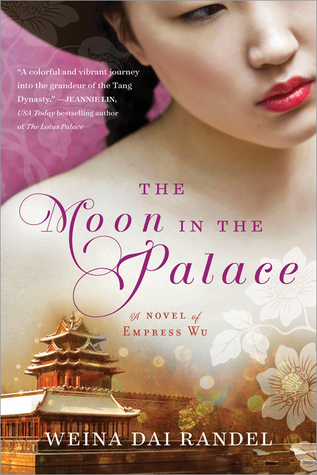 What is it about Empress Wu that fascinated you? I grew up watching a TV show about Empress Wu, played by a famous Taiwanese actress called Pan Yingzi. I don't remember much about what happened in the show, but I loved the show then and the fact that Empress Wu was the first and only female ruler in China was most fascinating to me. In history's judgement of Empress Wu, what qualities do you think have been misrepresented and which have been justified? I want to say many admirable qualities of Empress Wu were omitted, but it's not that simple, isn't it? The truth is Empress Wu, who lived in the 7th century, would regrettably remain a myth to us, despite of the historical record such as Tang Hui Yao and Old Tang Book. We don't really know what kind of qualities she possessed prior of her becoming the ruler of the country. Most of the qualities you read from The Moon In The Palace were of my imagination. With that said, I would say traditional views of Empress Wu, painted by Confucian scholars, are mostly negative, vicious and slanderous. Empress Wu could possibly be the most resourceful, witty, charitable, strategic, possessing all the redeemable attributes that defined her as a brilliant ruler who ushered in the golden age in China, but she was not described in the history this way – for that, we have to understand that the historians who wrote the history were officials commissioned by emperors. If they wrote something the emperor disapproved, their ranks, and their heads, would be at stake. So what facts did the historians record? It was likely that she obliterated the sons of Emperor Taizong as she ascended to the throne; it was likely that a number of her ministers were corrupted and abused the power; it was also likely that she had a favorite male companion, thirty years after her husband's death. What qualities do you think she have possessed? It all depends on what standards you use to measure her. 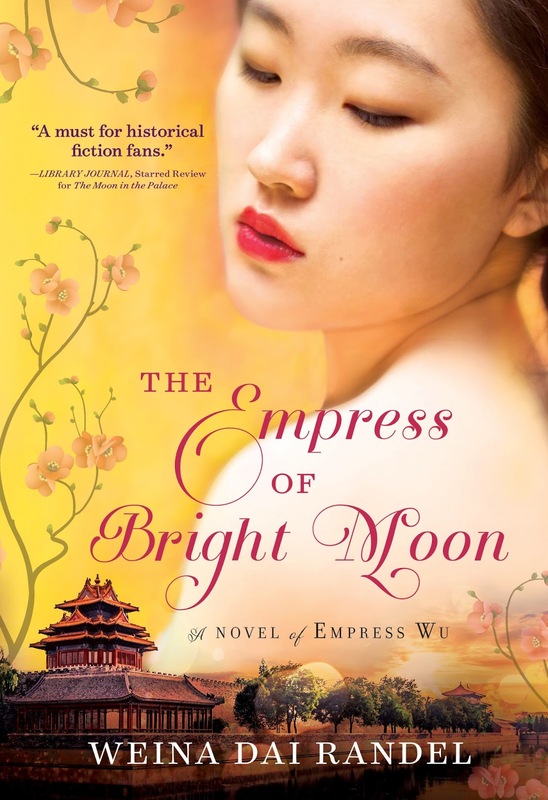 You wrote two books about Empress Wu's early life under two emperors, which book was more difficult to write about? The second book was more difficult to write in terms of emotions. I was very depressed, for months, when I was writing the second part of the novel, The Empress of Bright Moon, when she suffered great losses. I am a mother myself, and I simply couldn't bear to have her go through that trial. Consort Xiao, The Noble Lady in your story, has been one of Wu's main enemies siding with Empress Wang. Yet, in this story, you portray as a sympathetic character who does not have an antagonism towards Wu. What made you portray her in a non-traditional way? I decided to discard the images of Consort Xiao, and of Empress Wang too, painted by traditional Confucian scholars. Their views of women seemed misogynistic, and their portrayal of women in the palace often fell into two stereotypes: good women who were chaste, pious, and pretty, and evil women who were jealous, petty-minded, and quarrelsome. I'm saying this because I read three volumes of The Two-thousand-year History of Empresses and Chief Consorts in China and all the images of the women portrayed there belonged to these two categories. I didn't accept these images. It is my belief that women were capable of sharing the camaraderie and bond that Confucian scholars would not understand, and their relationship could go beyond the scholars' understanding as well. The role of Consort Xiao was also reduced in the Empress of Bright Moon duology for creative necessities. It is the story of Empress Wu, and since Empress Wang was set up as the major obstacle for Empress Wu, to focus on Consort Xiao as another enemy would repeat the rivalry similar to Jewel and Mei, as seen in The Moon in the Palace. The Tang was known to give women many freedoms. How was that particular dynasty different to the more restrictive dynasties? Do you think she could have become Emperor of China in another dynasty, or was she born into the right period? You're right that women in the Tang Dynasty had more freedoms: they could walk, stroll and ride horses and even play polo. After the Tang Dynasty, as you know, women were forced to break their toes and bind their feet. When a woman's movement was restricted even in her own household, and when she had to suffer the constant pain on her body, many resources would be limited and many dreams would have died before they were even lit. So would Empress Wu become Emperor in another dynasty? I don't think so. 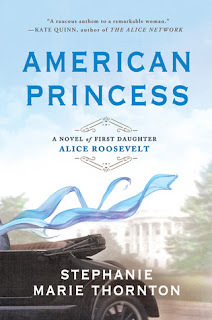 In the West, there have not been many historical biographies of Asian female figures. Why do you think there are so little authors writing about these women? Novels are fragrant trees that bloom on its own cultural soil and beckon at people attracted to their scent. Male writers, even though they might be interested in the Chinese culture, are less likely to be drawn to a woman's journey; women writers, on the other hand, might be likely attached to female heroes bred from their own culture. I hope with more people traveling and more interactions, this confinement within cultures will change! Do you think there is a bias against multiple cultures in the publishing industry? I'm constantly told that publishing industry is a business, means, it has to make money. I can see this clearly now. If no one is buying multi-cultural books, then it's likely that the book, and future books of this type, won't be published. But if these books are well received and profitable, and it's likely the publishers will publish more of the books. You have been a model of resilience with eighty-two rejection letter and ten years of writing. Yet, you never gave up. What advice do you have for other authors struggling to get published? Thank you! I'm pleased to hear my experience offers inspiration. I would suggest that, if you intend to get published, sit down, read and write. Reading is actually very important, and try to read the books whose style appeal to you. And write, yes, write every day! I'm working on another project set in China. It's completely unrelated to Empress Wu! Weina Dai Randel is the author of The Moon in the Palace and The Empress of Bright Moon. She lives in Flower Mound, Texas with her husband and two children. Visit her website. Excellent interview! Good questions,and interesting responses from Mrs. Randel!